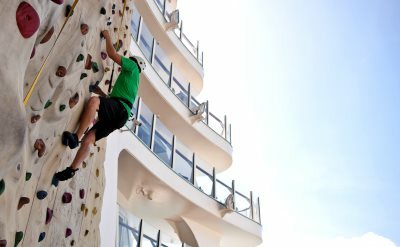 Take a step back to a time when traveling was an adventure with a Transatlantic cruise on Royal Caribbean. Explore foreign ports and shores, while returning to the comfort of your stateroom every night. See the full schedule of departures below. 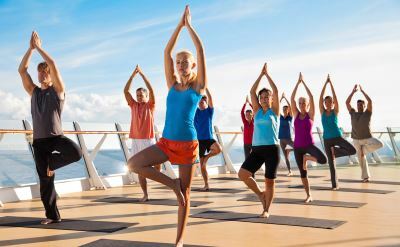 Royal Caribbean Cruises offers many transatlantic voyages annually. Departure ports include Miami, Fort Lauderdale, Galveston and Tampa in the United States. In Europe, depart from Barcelona, Rome, Copenhagen, Amsterdam or Southampton. April 19, 2019: 17-night cruise from Galveston (Texas) to Barcelona (Spain) on Vision of the Seas. Visit San Juan (Puerto Rico), Charlotte Amalie (St Thomas), Ponta Delgada (Azores), Malaga (Spain), Alicante (Spain) and Palma de Mallorca (Spain). April 21, 2019: 14-night cruise from Port Canaveral (Florida) to Barcelona (Spain) on Oasis of the Seas. Visit San Juan (Puerto Rico), Philipsburg (St Maarten) and Malaga (Spain). April 26, 2019: 16-night cruise from Fort Lauderdale (Florida) to Copenhagen (Denmark) on Serenade of the Seas. Visit Ponta Delgada (Azores), Cork (Ireland), Paris (France), Brussels (Belgium) and Amsterdam (Netherlands). April 27, 2019: 14-night cruise from Tampa (Florida) to Barcelona (Spain) on Rhapsody of the Seas. Visit La Palma (Canary Islands), Tenerife (Canary Islands) and Malaga (Spain). May 4, 2019: 15-night cruise from Tampa (Florida) to Amsterdam (Netherlands) on Brilliance of the Seas. Visit Ponta Delgada (Azores), Waterford (Ireland), Cork (Ireland) and Brussels (Belgium). May 4, 2019: 14-night cruise from Fort Lauderdale (Florida) to Southampton (England) on Independence of the Seas. Visit Labadee (Haiti), San Juan (Puerto Rico), St Thomas (US Virgin Islands) and St Maarten. August 25, 2019: 16-night cruise from Copenhagen (Denmark) to Boston (Massachusetts) on Serenade of the Seas. Visit Skagen (Denmark), Stavanger (Norway), Shetland (Scotland), Akureyri (Iceland), Reykjavik (Iceland), Prins Christian Sund (Greenland), Qaqortoq (Greenland), Sydney (Nova Scotia) and Halifax (Nova Scotia). September 27, 2019: 13-night cruise from Barcelona (Spain) to Miami (Florida) on Vision of the Seas. Visit Cartagena (Spain), Malaga (Spain), Lisbon (Portugal), Ponta Delgada (Azores) and Nassau (Bahamas). October 26, 2019: 14-night cruise from Southampton (England) to Fort Lauderdale (Florida) on Independence of the Seas. Visit St Maarten, St Thomas, Puerto Rico ahd Labadee (Haiti). October 30, 2019: 12-night cruise from Rome (Italy) to San Juan (Puerto Rico) on Jewel of the Seas. Visit Cartagena (Spain), Gibraltar, Lisbon (Portugal) and Ponta Delgada (Azores). November 3, 2019: 15-night cruise from Barcelona (Spain) to Tampa (Florida) on Brilliance of the Seas. Visit Cartagena (Spain), Malaga (Spain), Seville (Spain), Lisbon (Portugal) and Ponta Delgada (Azores). November 5, 2019: 14-night cruise from Southampton (England) to Miami (Florida) on Explorer of the Seas. Visit St Kitts, Dominica, Barbados and Antigua. November 9, 2019: 14-night cruise from Barcelona (Spain) to Tampa (Florida) on Rhapsody of the Seas. Visit Lanzarote (Canary Islands), Las Palmas (Canary Islands), La Palma (Canary Islands) and CocoCay (Bahamas). March 1, 2020: 12-night cruise from Fort Lauderdale (Florida) to Barcelona (Spain) on Allure of the Seas. Visit Malaga (Spain). April 12, 2020: 12-night cruise from Cape Liberty (New Jersey) to Southampton (England) on Anthem of the Seas. Visit Halifax (Nova Scotia), Ponta Delgada (Azores), Cork (Ireland) and Le Havre (France). 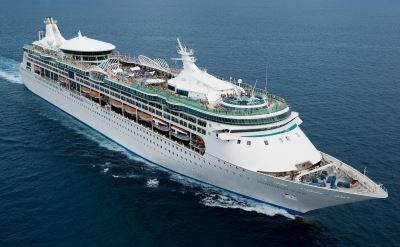 April 18, 2020: 14-night cruise from Tampa (Florida) to Barcelona (Spain) on Rhapsody of the Seas. Visit Kings Wharf (Bermuda), Ponta Delgada (Azores), Malaga (Spain) and Alicante (Spain). April 25, 2020: 13-night cruise from San Juan (Puerto Rico) to Barcelona (Spain) on Vision of the Seas. Visit Tenerife (Canary Islands), La Palma (Canary Islands), Palma de Mallorca (Spain). May 2, 2020: 15-night cruise from Fort Lauderdale (Florida) to Southampton (England) on Independence of the Seas. Visit Labadee (Haiti), San Juan (Puerto Rico), Charlotte Amalie (St Thomas), Basseterre (St Kitts) and Cork (Ireland). May 2, 2020: 15-night cruise from Tampa (Florida) to Amsterdam (Netherlands) on Brilliance of the Seas. Visit Kings Wharf (Bermuda), Ponta Delgada (Azores), Cork (Ireland) and Waterford (Ireland). September 2, 2020: 15-night cruise from Amsterdam (Netherlands) to Boston (Massachusetts) on Brilliance of the Seas. Visit Bergen (Norway), Geiranger (Norway), Akureyri (Iceland), Reykjavik (Iceland), Prins Christian Sund (Greenland), Qaqortoq (Greenland) and Nuuk (Greenland). September 5, 2020: 13-night cruise from Barcelona (Spain) to Cape Liberty (New Jersey) on Vision of the Seas. Visit Palma de Mallorca (Spain), Ibiza (Spain), Valencia (Spain) and Kings Wharf (Bermuda). October 31, 2020: 14-night cruise from Southampton (England) to Fort Lauderdale (Florida) on Independence of the Seas. Visit Ponta Delgada (Azores), Basseterre (St Kitts), Charlotte Amalie (St Thomas), San Juan (Puerto Rico) and Labadee (Haiti). November 1, 2020: 12-night cruise from Southampton (England) to Cape Liberty (New Jersey) on Anthem of the Seas. Visit Ponta Delgada (Azores) and Kings Wharf (Bermuda). November 1, 2020: 14-night cruise from Barcelona (Spain) to Miami (Florida) on Allure of the Seas. Visit Palma de Mallorca (Spain), Valencia (Spain), Tenerife (Canary Islands) and CocoCay (Bahamas). November 6, 2020: 14-night cruise from Rome (Italy) to Miami (Florida) on Explorer of the Seas. Visit Valencia (Spain), Malaga (Spain), Seville (Spain) and Nassau (Bahamas). November 7, 2020: 14-night cruise from Barcelona (Spain) to Tampa (Florida) on Rhapsody of the Seas. Visit Lanzarote (Canary Islands), Las Palmas (Canary Islands) and CocoCay (Bahamas). Have fun. Explore the world. Take a Royal Caribbean Transatlantic cruise.